Monica’s enthusiasm shines through at the office and motivates and energizes the entire staff. 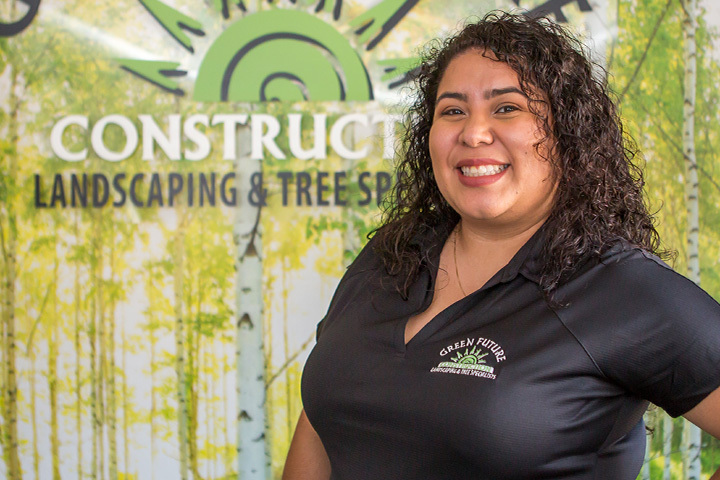 At Green Future Construction she is responsible for scheduling, deposits, and bookkeeping. Monica cherishes her family and is the oldest of four siblings. Being the only girl has shaped her into a strong woman who can be a team player while also being able to resolve conflicts with grace and diplomacy. Her family values have shaped her into a strong and determined woman. She is currently pursuing a degree in Human Resources with a minor in Business. She loves listening to music and learning new skills.